As part of R.E.A.L Schools’ commitment towards providing a transformative learning experience; various events, activities and trips are organized throughout the year for students to engage themselves in and enjoy. In September this year, R.E.A.L Schools, Shah Alam Campus organized a three-day excursion to Skytrex, GK Organic Farm and KIDDO Science for its Junior students to enhance their knowledge, skills, awareness and experience via a host of diverse activities such as climbing, sky-swinging, science exploration and nature conservation. Located at a picturesque agricultural park, Skytrex offers visitors an experience like no other. There, students learned to be independent in facing and overcoming challenges which aim to develop both physical and mental strength. This fun but demanding activity also went a long way in helping to increase confidence in one’s ability, foster teamwork as well as promote fitness and health. GK Organic Farm, as its name suggests, was an ideal location to expose students to organic farming and nature conservation. Organic farming is an integrated farming system that strives for sustainability, a method that works in harmony with nature rather than against it. At GK Organic Farm, the students learned to appreciate Mother Nature and ways to conserve the environment through the ‘3R’ activities (Reduce, Reuse and Recycle) as well as other sustainable practices. Meanwhile, the third excursion to KIDDO Science was geared towards promoting critical thinking and sense of discovery amongst students. 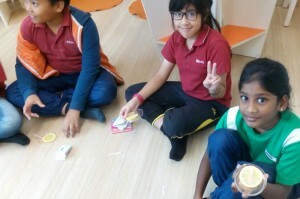 KIDDO Science provides an avenue or opportunity for kids to conduct fun and intriguing science experiments. Through these hands-on experiments, students learned to develop an inquisitive mind and a thirst for knowledge that would serve them well for life. Synonymous with R.E.A.L’s aim of producing lifelong learners who are entrenched with active learning skills and values; excursions such as these play a crucial role in instilling a passion and love for learning as well as knowing ‘how’ to learn as opposed to just ‘what’ to learn. 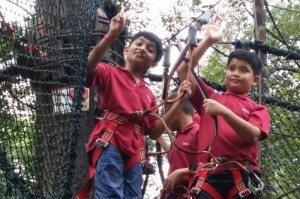 It is hoped that the students would apply the knowledge and skills derived from these excursions – which form part and parcel of the ‘R.E.A.L Schools experience’ – to good use in their future endeavours. The post Excursions for Cahayans to Experiment, Engage and Explore appeared first on best international schools in malaysia.